SAMSUNG launches Galaxy J2 Core, Its first Android Go smartphone. 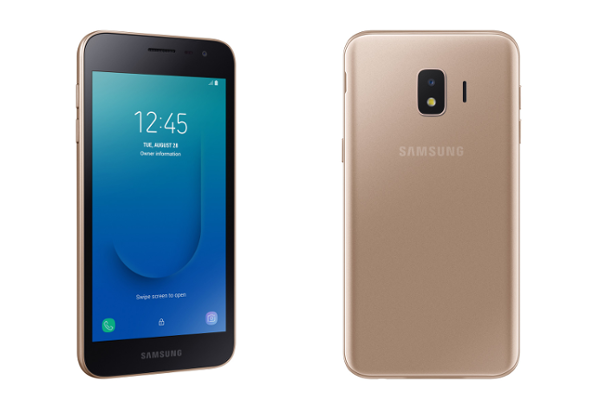 Samsung Electronics today announced its first Android Go smartphone, the Galaxy J2 Core. The Galaxy J2 Core comes with a 5-inch quadHD display, 1GB RAM and 8GB internal storage. The Galaxy J2 Core features a 5-inch quadHD display with a resolution of 540 x 960. It operates on Android Oreo (Go edition), and comes pre-loaded with fewer apps that use less memory and storage providing up to 1.5 times the available storage capacity compared to previous offerings. Samsung's Galaxy J2 Core is powered by an Exynos 7570 processor coupled with 1GB RAM. It has a 2,600 mAh battery and 8GB internal storage. The Galaxy J2 Core comes equipped with two cameras: 8MP rear camera with flash and 5MP camera in the front. Both cameras have an F 2.2 aperture for improved wide-angle photography, and features such as Beauty Mode are included for users to take better portraits and selfies.